Testimonials – Read our Mail! Here are some excerpts from the piles of fan mail we receive regularly. These are typical of the kinds of messages we receive from our readers. You saved my life ….and my wife’s also. I want to report that I achieved my desired outcome completely …I am now where I wanted to be and completely satisfied. Your approach is excellent. I was able to get the job done for a tiny fraction of what the costs might have been. Your advice was right on the nose. I feel that this kind of legal assistance is invaluable …You really threw me a lifeline when I felt I was sinking. Thanks to you, a difficult situation was made easier. My [case] was a “piece of cake” and I’m happier than I have been in a long time! I’m an attorney and I really like your books. I know a lot of lawyers buy them. Your books are wonderful—they are suitable for the general public, and make a very nice overview for attorneys. Thanks to you, a difficult situation was made easier. My appearance in court was a “piece of cake” I’m happier than I have been in a long time! I’ve been a family law paralegal for 30 years and these are the clearest, most user-friendly references I have used. We have referred many clients to your volumes for custody and visitation questions—they are able to prepare for Court, truly understand the procedures, and they achieve a better result. 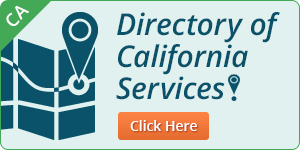 I recently used your How to do Your Own Divorce in California to obtain a default judgment divorce. It was so easy with your instructions, forms, illustrations and practical advice. Yesterday I received the conformed copies of the Judgment and the divorce was final!! Thank you for . . . writing a book that made things so simple. After a very complicated marriage, a simple divorce was a real blessing!